We identify the distinctiveness of your learning requirements and make every effort to provide custom-made eLearning solutions that impact attitude and performance. 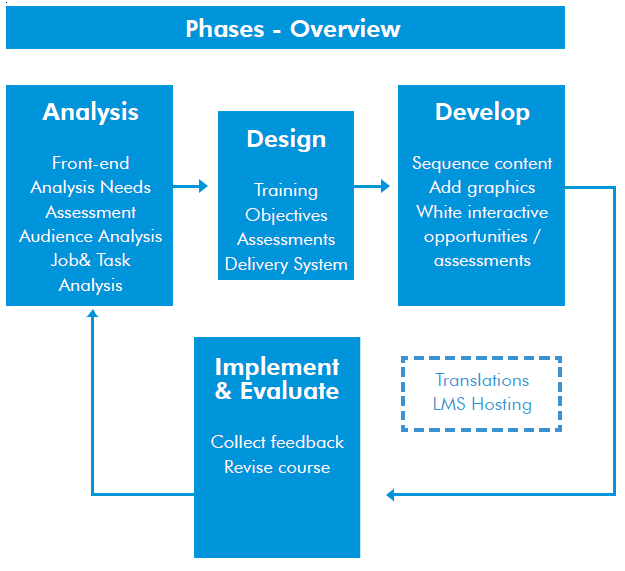 Our exceptional team of Instructional Designers, Graphic Designers, SMEs, Programmers and Quality Analysts will understand your learning objectives, participant profiles and the expected learning outcome. Our achievement is fundamentally due to our instructional design expertise, our proficiency in graphic design, technological base and project management skills. Do checkout our sample e-learning demo page to find out more on services we offer with our e-learning content development and solutions.